﻿ 2018 W&S Thanksgiving Day 10K Run & Walk Newsletter #4 - RUN that by ME - Run, walk, wow! Seriously, WOW! Caroline Keating Running in Memory of Her Father. The Keating Family is Joining Her! "The W&S Thanksgiving Day Race was one of the first races I remember running with my dad," said Caroline Keating, whose father Bill died of brain cancer last year. "For years, Dad would get our whole family to run on Thanksgiving morning. We'd have fun, laugh, and not be able to walk the next day," she said. Last year, Keating couldn't bring herself to run on Thanksgiving. "It broke my heart too much to show up without him." This year is different. Keating has captivated the local running scene by qualifying and running the Boston Marathon in memory of her father. "Seeing her cross the finish line was breathtaking," said her mom Joan Keating. "I will never forget it." Keating is planning to get over 30 family members on that starting line. "Whomever runs gets extra pumpkin pie. Are you in, Grandpa?" 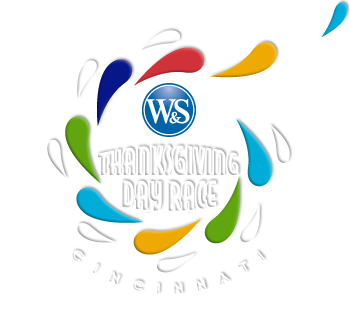 Join the Keatings and all the other runners, families and friends who make Cincinnati special on Thanksgiving. Register today, contribute to the Barrett Cancer Center, and try fun races like Sophie's Angel Run. The spirit of running. The spirit of Cincinnati! Why is yoga so good for runners? "Yoga can help balance strength, increase range of motion and sync breathing," said renowned yoga teacher Ellen Bradley, owner of Modo Yoga and the creator of several videos that can help runners stay uninjured and pain-free. "If you bring your body into balance through the practice of yoga, you can run long and happy for years to come." The benefits of yoga are tremendous. It helps reduce the physical toll. Runners experience too much pounding, tightening and shortening of the muscles and not enough restorative, elongating and loosening work. Yoga will help restore the muscles and increase the quality of your runs and your running career. It reduces the risk of injury. Yoga helps with balance, symmetry and alignment, thus reducing your risk for injury and pain. The body is the sum of its parts and impairment of one affects them all. Even chronic injuries can eventually self-correct through a gentle yet consistent yoga practice. " It increases energy and endurance. Yoga teaches you how to tune into your breathing — the fuel for our bodies — and you learn to move in harmony with your body to fully enjoy the experience of running. What holds you back from fulfilling your dreams? What if I fail? Yes, taking risks makes us super vulnerable, but if we're willing to fail, it's amazing how much fun we can have with our lives. Daydreaming is a waste of time. Oh come on, life is supposed to be fun and frivolous at times. Go ahead and dream about possibilities. How else are we going to figure out where we want to go next? How could I possibly do that? This is the opposite of a pep talk. We tear ourselves down before we even lace up our shoes. Psychologists call this the "imposter syndrome." It's a persistent feeling that we don't deserve whatever it is we're doing. I have no time. It is easier to focus on tangible things such as the work in front of us than some future possibility. We must make time for things that matter. I don't want to be selfish. Think about it this way -- by taking steps toward our fulfillment, we'll be more available to others. I can't afford to try. There is no cost to dream so let your dreams take flight. "The next time you eat a piece of chocolate, you may not have to feel so guilty about it," says Steve Ginsburg, the CEO of RAM Racing and the founder of the Hot Chocolate 15K/5K Race Series, one of the most successful and 'sweetest' series in the United States. Dark chocolate may help athletes cover more distance while using less oxygen. Findings published in The Journal of the International Society of Sports Nutrition suggest that a little dark chocolate might boost oxygen availability during fitness training. Scientists believe that the success of dark chocolate in this case is that it contains flavonols, which enhance the release of nitric oxide in the body. One study, published in The Journal of Nutrition, suggests that chocolate consumption might help reduce bad cholesterol. "Regular consumption of chocolate bars containing cocoa flavonols (CF), as part of a low-fat diet, may support cardiovascular health by lowering cholesterol and improving blood pressure." Scientists at Harvard Medical School have suggested that drinking two cups of hot chocolate a day could help keep the brain healthy and reduce memory decline in older people. The researchers found that hot chocolate helped improve blood flow to parts of the brain where it was needed. Another study suggests eating chocolate at least once weekly could improve cognitive function. Research published in The BMJ suggests that consuming chocolate could help lower the risk of developing heart disease by 33 percent. "This means the manager shows up to meetings on time and ends meetings on time," said Alvin Roehr, CEO of The Roehr Agency. "It seems like a little thing, but it really inspires others to be punctual as well." Give a person their full attention. When a manager gives their people their full attention when they talk, it encourages others to do the same. "This helps create a culture of respect and makes communication far more effective," said John Barrett, CEO of Western & Southern. Follow through on their commitments. "When a manager responds to people and makes decisions in a reasonable timeframe, it makes their team run smoothly," said Roehr. "It also reinforces the importance of trust and reliability within the company culture." A manager needs to be particularly mindful of what they say around their team. Research shows that their topics of conversation will define their employees' topics of conversation. "Happy teams are more productive and stick around longer than unhappy teams," said Roehr. "Managers should spend time each day socializing." Many employees see meetings as a place where productivity goes to die. "But that attitude can change if a manager has meetings focused on action," said Barrett. "It leads to greater team productivity, fewer meetings, and it makes our employees far more efficient." "A manager who acts with integrity will create a team that acts with integrity," said Barrett.